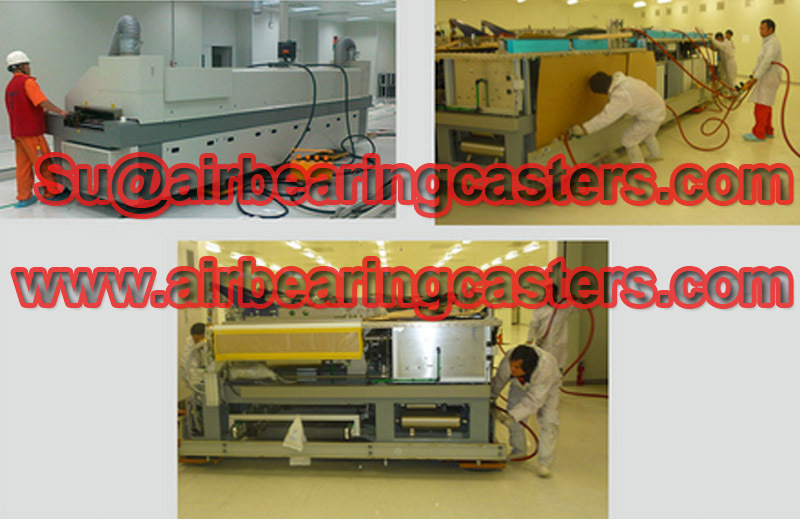 Air skates can move heavy duty loads for more than 100 tons for any shape or any sizes. 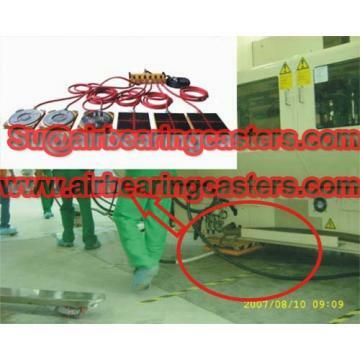 Air skates will not damage the expensive floors, and can get the loads into tight spaces where forklifts can not reach. 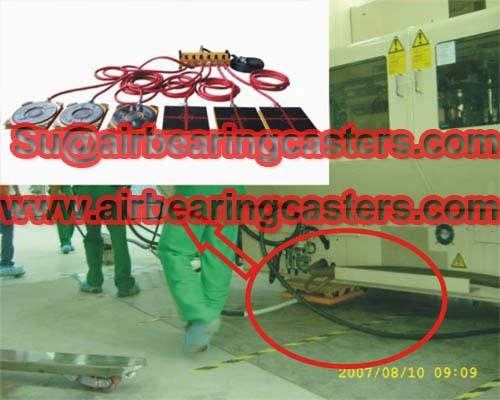 Air bearing casters is low profile giving the operator a better ability to maneuver and operate the air skates in lower work space. 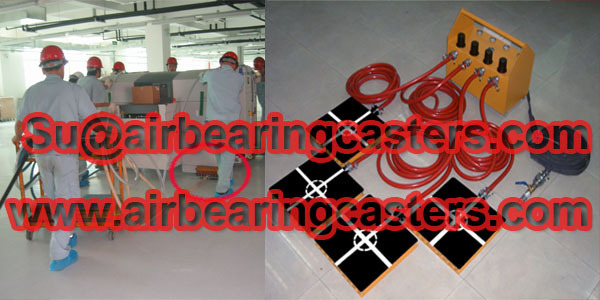 Air moving skates details with pictures. 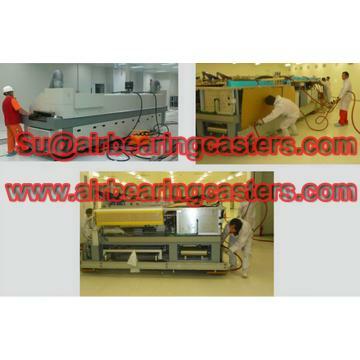 Air casters is one kind of moving and handling tools, for moving and transport machines balanced and steadily. 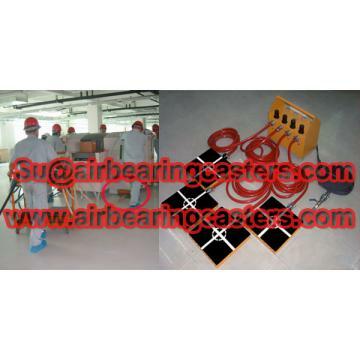 Air bearing movers applied on moving heavy duty load and machines, such as large machinery and production assemblies, inside factory operations, which is omni-directional maneuverablility.